Audacity is a musical composition program downloadable for free. There are limitations with this program, but they allow producers to “think outside the box.” One way we can “think about the box” is by composing a basic 6/8 drumbeat with Audacity. Audacity doesn’t come with an attached grid. We’ll create one. Go to Generate > Rhythm track. This adds a metronome to your entire track, in order to keep you on beat for additional add-ons. In the below window, change Tempo to 180 beats per minute and change Beats per measure to 6. Your click track will look like this. Now go to Analyze > Beat Finder. Once you’ve selected “Beat Finder,” you will see a “threshold” window. Don’t change it. This just tells you how sensitive it is. The clicks and the B’s are slightly “off,” meaning they don’t connect precisely. Let’s snap them together. First, zoom in by clicking the magnifying glass icon with a plus sign “+”. Move your clicking sounds slightly right so they snap on a gold yellow line. This line will appear vertically from the B’s and lock the clicks and B’s together. In that folder, I found this, but you might need to source drum or soundkits to personalize your project. Check out the latest soundkits from our featured producer AraabMuzik if you’re interested. A kick should appear below the B’s. Loop this kick seven times at every two second mark (plus approximately 17 milliseconds to keep on beat with the metronome). Click the selection tool (shaped like an uppercase I) and highlight the kick from its beginning to the sixth clicking sound, as shown below. To really make sure you’re selection is accurately two seconds apart, go down to the bottom of your screen and type your start and end markers exactly two seconds from each other. Now go to Effect > Repeat. Type “7” in the empty box to repeat your kick 8 times. Go to File > Import > Audio. Import a closed hi-hat. Any one. Once the hi-hat is in your project, snap it to the beginning clicking sound, like you did with the kick. Use the select tool to highlight a selection between the beginning of your hi-hat and the next clicking sound. This should be one-third of a second apart. Go to Effect > Repeat. Repeat it 5 times. I asked you to repeat it only five times, because if you repeated that selection more, the hi-hats would drag off beat as your track plays. …go to Effect > Repeat. Then repeat that section 7 times. In File > Import > Audio, pick any snare. Snap the snare to the FOURTH clicking sound. When selecting the loop containing the snare that you wish to repeat, make sure it’s two seconds apart, like the kick. Select Effects > Repeat to repeat the snare 7 times. Now go to File > Export. Use WAV this time. (MP3 exporting requires a plug-in I’m not sure comes with what you use.) Just save any random WAV file name to what’s below. And you’re set! Feel free to download and use the track we provided at the beginning of our article and sound off in the comments if you wanted other popular drum beats broken down. 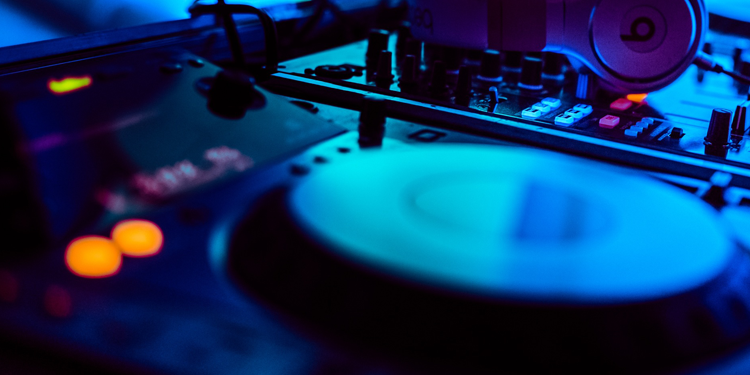 If you’re looking for the hottest hip hop beats online look no further then License Lounge. Audacity is one of the top free DAWs (Digital Audio Workstations) available on the market and is one of the few to remain completely open-source. While some DAWs like FL Studio have a free version, you generally need to pay the full fee in order to get all of the software features. This isn’t the case with Audacity. Audacity is available for a free download here, and maintains updated versions for Windows, MacOS, as well as Linux. After running your installer take note of the location of your installation folder as you’ll need this to manually install some plugins and filters. Generally the default address is C:\Program Files\(x86)\Audacity\Plug-Ins. When download new plugins you’ll need to drop them into that folder in order to access them via the software’s main dashboard. As Audacity is open source, there’s a huge amount of open source plugins, effects, and filters you can take advantage of that might normally be a paid add-on for standard DAWS. Once installed to your file location, you can reach the list of installed plugins and activate or deactivate them by navigating to the Plugin Manager within Audacity. From here you can view the installed plugins and activate new ones you may have just added. Nyquist is a programming language focusing on sound synthesis and analysis and provides the backbone for a number of Audacity’s plugin libraries. Audacity’s team maintain a full curated list of plugins available in this language and you need to download these, and drop those into the C:\Program Files\(x86)\Audacity\Plug-Ins folder in order to activate them. LADSPA is a common plugin language used across multiple DAWs that stands for “Linux Audio Developers Simple Plug-in API”. You’ll need to install this directly into the plugin folder within your existing Audacity install in order to access the library of LADSPA plugins. Once installed you follow the same instructions as Nyquist based plugins in order to install these effects and features. LADSPA (despite having “Linux” in the name) can be used across all operating systems – the Linux in the name just refers to the language the plugin was originally built in. This plugin opens up a number of effects and filters that are to be used alongside the main LADSPA plugin. Linux-sound.com maintains a curated list of effects, filters, as well as a number of scripts for plugin developers to use. The LADSPA homepage also maintains a running list of various LADSPA based plugins. As one of the larger free open-source DAWs, we’re going to continue to publish tutorials and tips for producers using this type of software. While it’s commonly known there is a bit of a learning curve to open-source software (compared to more common tools like FL Studio and ProTools) Audacity still remains as a powerful piece of software that has the almost unlimited ability to be customized to fit the needs of your studio. This is a tutorial continuing from my last tutorial, on how to create a hip-hop beat. From that last one, we left off here. “Pattern 1” should be on “Track 1” once. We need it there four times. It should look like this. Let’s rename this pattern and change its color. Left-click the upper-left corner of the first repetition of the pattern, and when a drop-down menu appears, click “rename and color.” Rename this pattern “Pattern 1 and 3” then click on the grey area. A pallette should appear for you to color your pattern. Make it light blue. The pattern is now called “Pattern 1 and 3.” We would like the second and fourth repetitions in the playlist “unique.” To make this happen, left-click the second repetition of “Pattern 1 and 3.” Click “make unique” on the drop-down menu. When a new pattern with the same drums as “Pattern 1 and 3” appears on the left side of the playlist, left-click that pattern in the left side of the playlist. (It’s below “Pattern 1 and 3.”) Rename it “Pattern 2” and color it green. “Pattern 2” should have the same drums as “Pattern 1 and 3.” Change the drums in “Pattern 2” to have them look like this. Now go back to the playlist to see the fourth and final repetition of “Pattern 1 and 3.” We want to “make” this one “unique” like we did in order to create “Pattern 2.” So left-click the upper-left side of it again, and when a drop-down menu appears, click “make unique.” This is a new pattern you should rename “Pattern 4” and color red. When you see “Pattern 4” on the channel rack, rearrange the drums to make them look like this. Your drum beat is finished. To play this whole project, remember to click the “pat / song” button, which is to the left of the play button on top of the screen, until it is not orange, meaning it’s the same color as the play button, and you are able to play the whole song and not the pattern you selected. While we’re at it, let’s add a bass line to this project. Go to “add” on the top menu. When a drop down appears, go down to “3x Osc.” Click it. We are trying to make an “808” bass sound. This “3x Osc” menu should help you make it sound that way. When the “3x Osc” menu appears, it should look like this. Adjust all “COARSE” knobs to 24 in order to have everything on the same note. Now route it to a free mixer track. Remember how? Left-click the top left of the “3x Osc” window (the tiny play-button thing, not the gear-looking thing). When “Route to free mixer track” appears on the menu, click it. When “3x Osc” is on the mixing board, lower its volume until it’s like this. When the piano roll appears, use the scroll bar on the right to scroll down to the c3-c4 range (the notes you’ll see on the left). When you see that, compose this. This is “Pattern 5.” We won’t spend time making a fancy bass line, just a simple note. 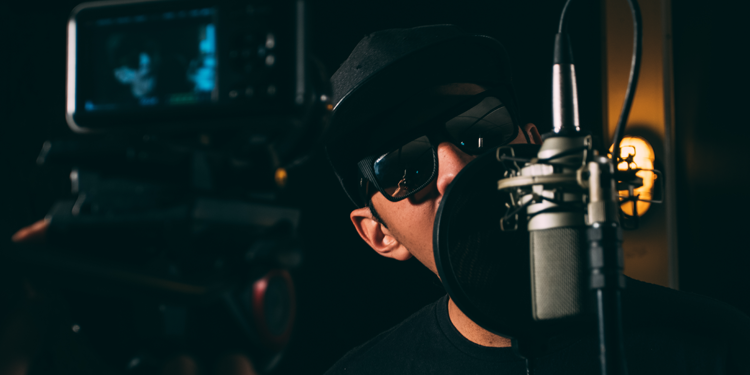 In terms of being sophisticated and state of the art, the sky’s the limit when it comes to setting up your home recording studio. Of course the essentials such as a computer, monitors, microphones, and headphones are necessary, but there is so much out there that it can easily become overwhelming. It’s important to realize that efficiency in the studio is critical and also a necessity for those who want to take advantage of constantly pouring out musical ideas. To be efficient in the studio you must not only need to know your way around all of your hardware but you must also need to know how to fully utilize your recording software. For this reason, it is imperative that you choose the correct digital audio recording software that fits both your needs and your level of recording skillset. When it comes to recording software (aside from free software such as Audacity), you probably already know that it can either be purchased by itself or else come bundled in a digital audio workstation (DAW) package along with an audio interface. The audio interface is of course responsible for converting the incoming analog audio signals from vocals and/or guitar for instance into sampled, digital representations which can then be edited and mixed within the accompanying software. For those of you who are new to recording, I highly recommend going with bundled software since many tools available to you in pricey standalone software packages will take some time to work up to in order to take full advantage of. Having an audio interface/bundled software combo package also ensures instant compatibility in terms of installing and setting up the software. There is also fantastic software out there that comes free when you buy a digital audio interface. Companies like Avid for instance offer the newest version of Pro Tools when you buy their interface. You may have heard Pro Tools referred to as ‘the industry standard’. I personally feel the most comfortable using Pro Tools to record and mix. It’s clean, intuitive, and doesn’t pose a huge learning curve for those individuals who are just getting into recording. Though Avid products are a little pricier than most, I think in this case, you get what you pay for. Presonus also offers a great line of interfaces that comes paired with their Studio One ARTIST DAW software upon purchase. Obviously choosing the correct DAW software can greatly impact the creative essence of what comes out of your studio so it’s important to choose the one that is right for you. So who ranks among the top DAWs according to today’s professional engineers? This obviously depends on the type of music being produced, but if we’re strictly speaking Hip Hop, you can bet the following make the cut. Another thing to take into consideration when choosing the appropriate DAW software is what lies for your home studio down the road. If your plan is to procure a lot of actual instruments and mic most of your tracks, Pro Tools may be the way to go. If you prefer working with more virtual instruments, Logic or Reason may be your DAW of choice. Whatever you choice, whether it’s a standalone or bundled software package, there are a few things that you must know and/or take into consideration when setting up your DAW recording software. Following software installation, which can sometimes prove to be quite cumbersome (especially for standalone DAWs), you’ll want to make sure that your audio interface/analog to digital converter is talking directly to the software. This is usually accomplished by setting your software’s Audio Input & Output preferences to coincide with your interface. The other thing you will want to do is minimize any latency effects that may be present. This is also done within your DAW software’s audio preferences but you may need to read deeper as latency can very across the board depending on the software. Everyone is familiar with paid Digital Audio Workstations like Logic, Protools, Ableton, and FL Studio, but those are all paid applications and for the producers and engineers just starting out, there are some really good, free alternative options. 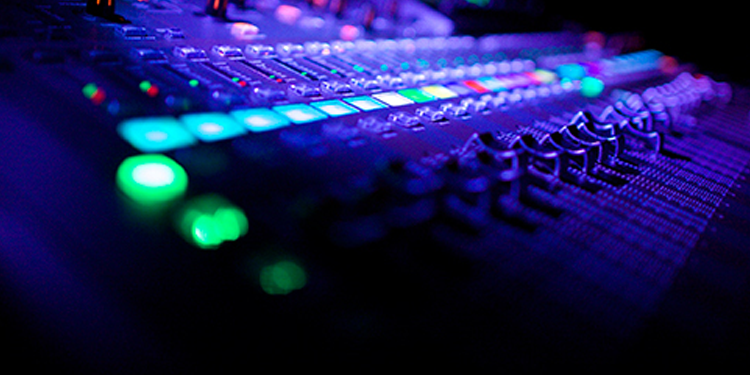 The following 5 free audio editing software tools (aka digital audio workstations/DAWs) have been featured to help audio engineers and musicians efficiently and effectively record and mix tracks and do so with as much creative freedom as possible. Probably the most renowned free, open source audio editor, Audacity packs many useful tools into an incredible user friendly application that translates to users who not only want to make music, but create audio books, record podcasts, edit movie scores, etc. It not only enables the user to import and work with nearly every file format but samples at an incredible 192kHz (that’s nearly 5x the Nyquist frequency with regard to the human auditory threshold!). 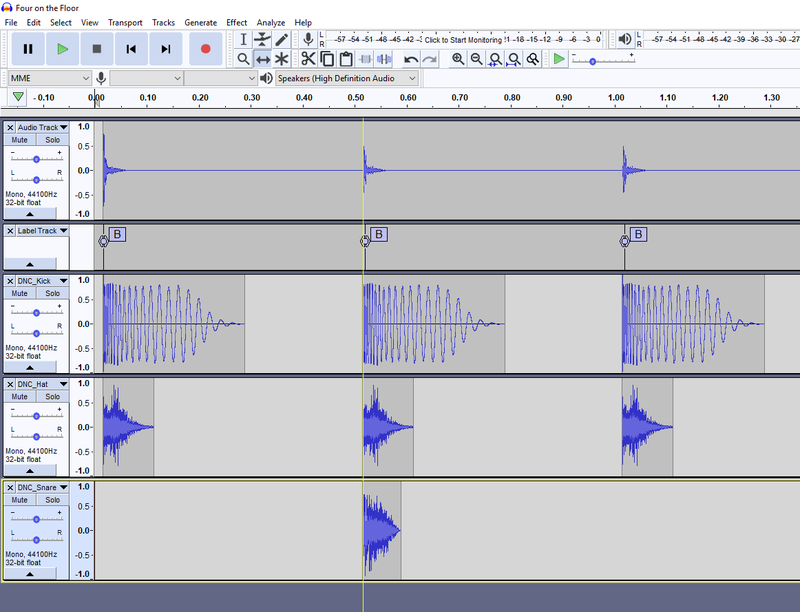 Aside from offering industry standard multi-track editing along with a multitude of track manipulation capabilities, Audacity also allows the user to remove background noise with its noise reduction feature as well as strip vocals from a track with its vocal removal tool. Audacity contains just about everything an aspiring musician would need to begin laying his/her artistic groundwork from high/low pass and notch filtering effects, to fading and smoothing tools, to built in compressor capabilities. 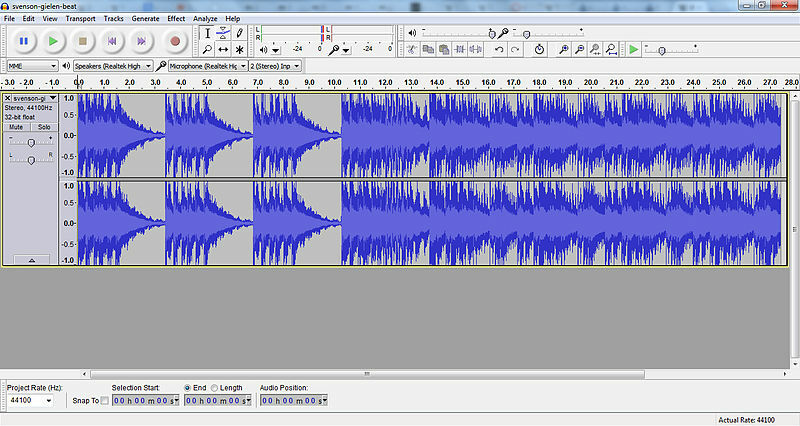 If you haven’t already, download Audacity and add it to your arsenal. It’s sure to aid in your inspiration. Another powerful audio editing program, WavePad makes it easy to edit audio files of nearly every flavor with the ability to add effects like compression, reverb, echo, and noise suppression. WavePad also allows the user to cut, copy, paste, insert, delete, trim, and shift the pitch of any portion of audio information. It also allows you to process numerous pieces of audio at once using the Batch processing function. One cool feature that I haven’t seen in other similar audio editing programs is WavePad’s speech synthesis feature. This allows the user to convert text to speech simply by typing what words are desired to add to a mix. The voice can then be altered using various other tools to add to the synthetic nature of what is trying to be conveyed. Pretty cool in my book. WavePad also offers noise reduction, contains fast fourier transform (FFT) spectral analysis and like Audacity, can support sampling rates up 192kHz without exhibiting any sort of aliasing effects. In terms of features, OcenAudio can be thought of as more like a simplified version of Audacity. Audacity light if you will. It’s great for quick and simple audio editing and ideal for voiceover work. It was developed with certain features in mind, specifically to accommodate multiple file formats, contain an audio signal generator, and utilize spectral analysis that allows the user to view audio with spectrogram. This is important because there is much more detail with regard to the audio properties that the user has visibility to making it very intuitive and easy to manipulate. One feature OcenAudio does have which makes it unique is its ability to allow the user to preview effects that are applied to audio in real-time. This means that the user can preview each effect that is applied to each piece of audio before actually applying it to see whether or not it fits in the mix. This streamlines the editing process by allowing effects to be applied in a quick and easy fashion. The effects that are available include compression, delay, flanger, chorus, reverb, vibrato, noise gate, equalization, as well as various filtering options. Unfortunately, stacking effects is not possible but splicing audio (i.e. cutting, pasting, deleting, and inserting various sections) is made easy and can also be done under Batch processing where groups of audio sections can be edited together. OcenAudio also supports VST plugins, or Virtual Studio Technology plugins. These of course are external effects plugins that are used across the board in nearly every audio editing software tool that can easily be integrated into the OcenAudio software package. OcenAudio does have it’s drawbacks however. It does limit you to the number of tracks that can be edited at a time, keeping it to a mere mono or stereo tracklist. Presonus ‘Studio One’ has now been made available for free and offers a very clean, user friendly, digital audio workstation that lays everything out in a single editing window. Though not all features in previous versions of Presonus are made available, the free version does offer a number of cool effects such as guitar amplification, analog distortion, tempo-synced delay, flanger, chorus, reverb, phaser, and MIDI input filtering. Surprisingly, the free version of Presonus also offers full access to its sampler as well as 1.5GB worth of built in samples. The single editing window makes every tool simple and easy to access. It also allows audio files such as samples to be dragged and dropped into place with ease so the user can whip up a mix with the quickness. Limitless tracks can be added and edited under a single session that exhibits the smoothness compared to the Arrange View in Ableton. Presonus does not however allow the use of external VSTs but everything has it’s drawbacks I suppose. Overall, Presonus ‘Studio One’ is definitely a powerful and intuitive tool for those musicians seeking multi-track mixing capability. LMMS, formally Linux MultiMedia Studio, is a cross platform, user friendly, digital audio workstation that is great for the audiophile that is chasing that million dollar melody but also caters to those who love to mess around with samples and loops. The graphic user interface (GUI) is very straightforward and consists of two editing windows (the Song Editor & the Beat+Bass Editor) and a Piano-Roll tool. The Song Editor Window acts as the main multi-tracking interface and allows the user to effortlessly drop beats, bass lines, and/or samples into the window’s timeline. These waveforms can be repositioned, renamed, recolored, resized, copied, and pasted, while being able to be zoomed in and out on to ensure every sound gets correctly located. The Beat+Bassline Window is where most samples and loops should be placed (in addition to drums and bass of course), making life easier since most samples and loops begin on the beat. 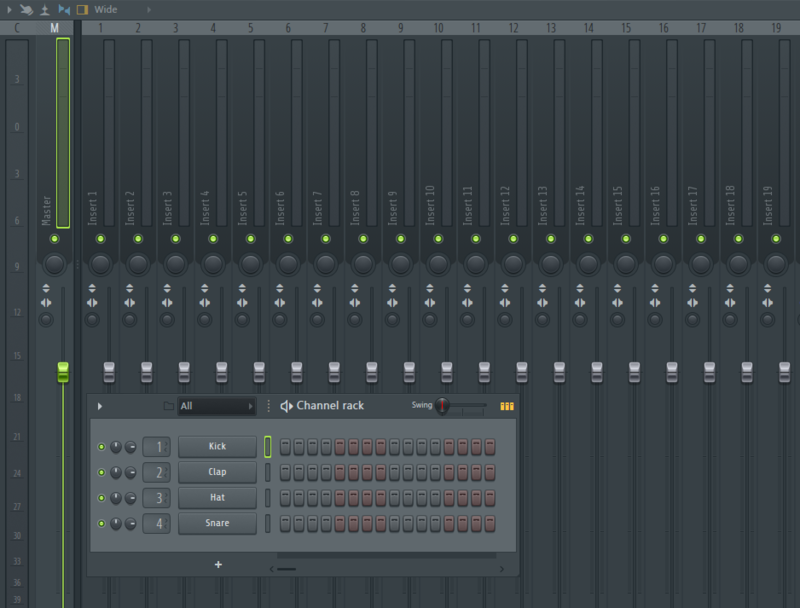 The Piano-Roll Window allows the user to import samples as well as lay down piano lines using an external MIDI keyboard. The piano-roll window also allows you to build auditory patterns with the freedom of adjusting a note’s duration, amplitude (volume), and frequency within a nine-octave range. This gives the user a ton of freedom to get creative when building melodies and harmonies. TripleOscillator; as the names states there are three oscillators within this plugin. Though not a Model D, it still gets the job done. In conjunction with the four available plugins, you’re going to want to experiment with the Low Frequency Oscillator (LFO), Envelope, and Filter functions to get the most of what LMMS offers. One drawback that LMMS possesses is its inability to handle mp3 and wma files. Samples that exist in these two formats must therefore be converted to a useable file form such as .wav or .ogg if they are to be imported and used. LMMS version 4.15 has also shown to have a number of bugs that have yet to be worked out. If you are planning on downloading LMMS go with version 4.13, at least until the kinks in the newer version get sorted out.